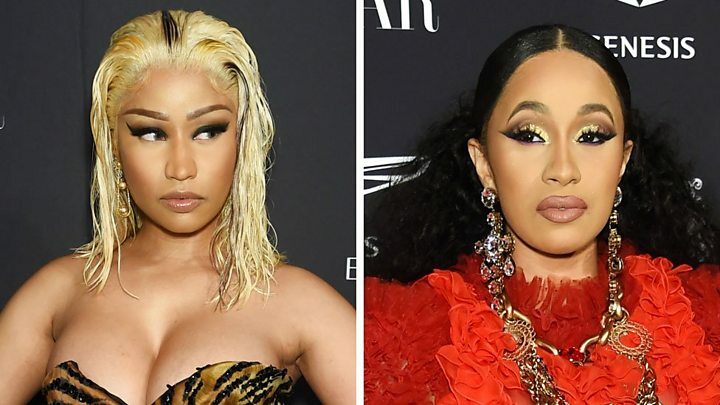 Nicki Minaj says she was left "mortified" after being involved in a scuffle with Cardi B.
Nicki said on her Beats One radio show: "It's so sad for someone to pin that on me, because I'm the bad guy and they know people would believe them. "I would never talk about anyone's child or parenting." Cardi B gave birth to daughter Kulture Kiari Cephus in July. She'd secretly married the father, Migos rapper Offset, in September last year. 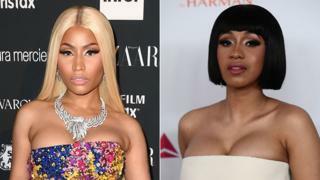 The scuffle began after Cardi approached her rival over "lies Nicki was spreading", celebrity website TMZ said. "The way they [party guests] passed by looking at this disgusting commotion, I will never forget. I was mortified," said Nicki. Seemingly talking directly to Cardi B, she said: "You're angry and you're sad. This is not funny and this is not about attacking. "This is about getting this woman some help." Newsbeat has contacted Cardi B's representatives for a comment. Nicki Minaj: Is the queen of rap's crown fading?